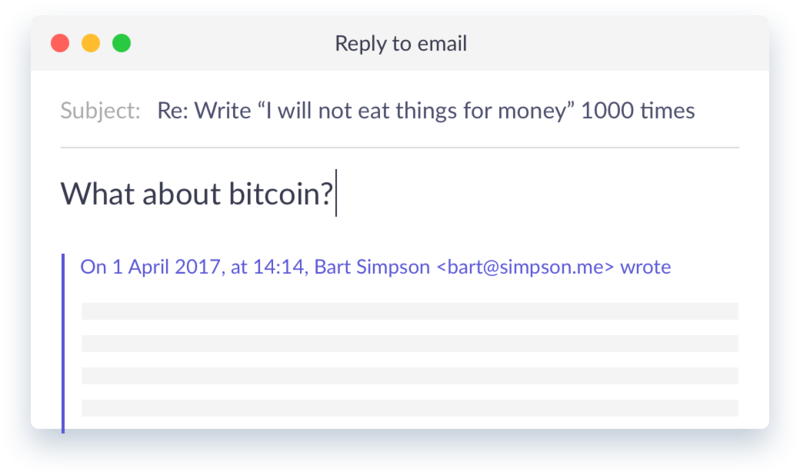 Never send yourself another reminder email. 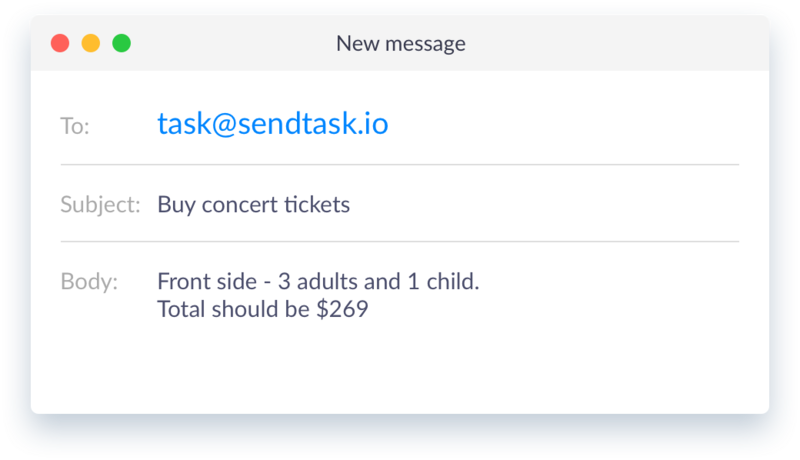 Forward any actionable info from your inbox to task@sendtask.io and it will go straight to your Sendtask account. 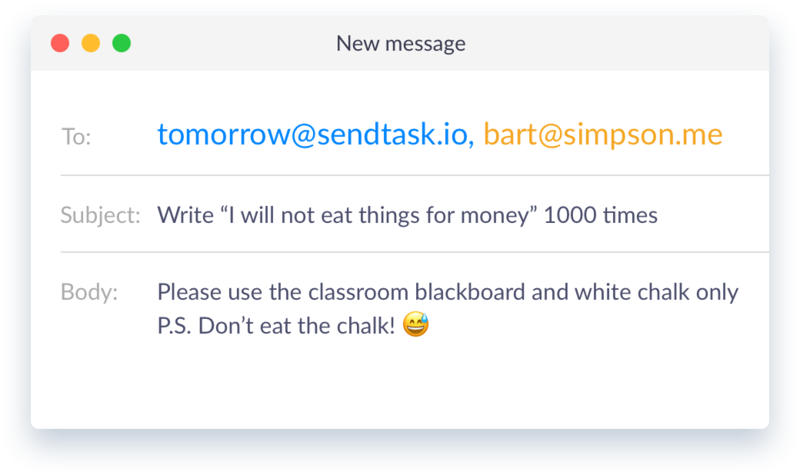 Create and assign tasks directly from email. This means you can collaborate with anyone in Sendtask - even if they don't have an account. 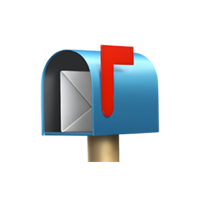 Comment on tasks by replying directly in email. You don't have to switch to the Sendtask web app so it's fast and convenient to talk about your projects.